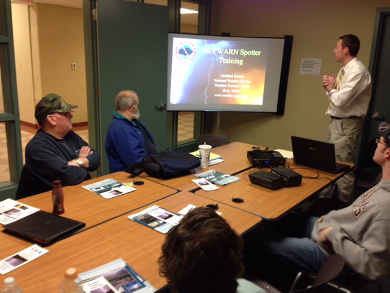 WINDHAM, ME - The Wireless Society of Southern Maine will host an ARRL VE Exam session on the evening of Thursday, June 22nd, from 7pm-9pm, at the Cumberland County EMA Bunker, on 22 High Street, in Windham, ME. 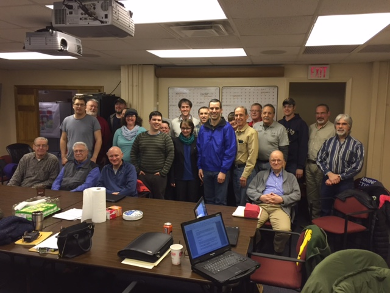 SACO, ME - The 2017 Maine QSO Party is right around the corner! This year's contest takes place September 23-24 for 24 hours, beginning at 1200 UTC on 9/23. Be sure to mark your calendars and get your county on the air! We'll take a look at QSL's from the 7P8C DXpedition to Lesotho, which took place in February 2016, FK4QX from New Caledonia, FW5JJ from Wallis & Futuna, and H44MS, which was a German "holiday-style" expedition to the Solomon Islands, during the winter of 2016. All of us at WSSM would like to thank the Hillock Family and Wassamki Springs Campground for your hospitality over the past 6 years, and especially for providing us with such a fantastic facility to operate Field Day from! SCARBOROUGH, ME - Field Day is just around the corner, and for the 7th year, we'll be operating from Wassamki Springs Campground, in Scarborough, ME. In 2016, WS1SM tallied 1,921 QSOs, and 7,530 points, in the 3A category, and we hope to improve on that this year. SACO, ME - During last year's Field Day, Frank Krizan KR1ZAN, taught a workshop on "Composing a Radiogram Message." 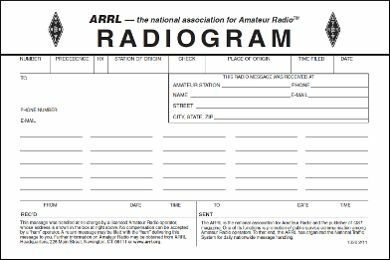 For those of you who didn't get a chance to attend, or need a refresher, click the link below to learn about all the different aspects of composing a message using the ARRL Radiogram format. During Memorial Day weekend, Stefania K1GJY, and myself, ventured to the summit of Mt. 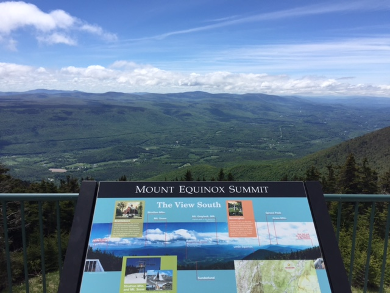 Equinox, in Vermont, during a return trip from the Adirondacks. WINDHAM, ME - During the formal meeting in March, our members presented Ryan Michaelson, KB1YTR with a club jacket, as we wished him farewell. At the end of March, Ryan moved back home to Minnesota, where he took a job with Sappi Paper. July 13th - from 7PM-9PM at the CCEMA Bunker, 22 High Street, Windham, ME. August 10th - from 7PM-9PM at the CCEMA Bunker, 22 High Street, Windham, ME. 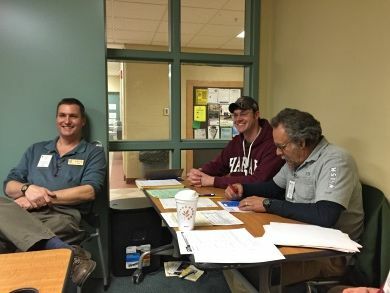 Since early Spring, there's been an influx of new hams visiting the club meetings on Thursday evenings, and also on the air. Its an exciting time for the hobby, and its especially important that we take the time to help each of them along as much as possible. For those of us who have been licensed for a while, its easy to get carried away in technical discussions and reference pieces of equipment or acronyms that would be unfamiliar to someone who's hearing about it for the first time. If new hams are present, pause a moment to add some clarification, or if possible, take the opprtunity to demonstrate it first hand. I noticed this myself when I was showing off the Icom IC7300 at the bunker recently and mentioned that it had a built in tuner. The person that I was showing it to had no idea what a tuner was, so I backed up and explained the concept, and showed how it worked. It just so happened that we also had a standalone tuner on the shelf as well, so it added to the demonstration. An antenna tuner is something that many of us take for granted because we use them every day, but for someone just getting started, who may not have had the chance to operate an HF radio yet, its a new concept. These recent months reminds me of the time when I was first licensed. 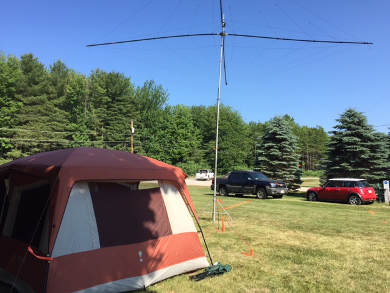 There was lots of activity on 2 meters, and lots of new people asking questions on the air. My first contact was with Larry Feldman W1GOR, who lived just down the street from me. Of course, I didn't know it at the time, but he had to be pretty close because his first words to me were: "What part of Hope Drive are you transmitting from?" I immediately thought, "how does this guy know I'm on Hope Drive?" He introduced himself and told me that he saw my brother and I installing our antenna earlier that day. I would talk with Larry often, and he would become a sort of Elmer on the air, answering questions I had. He also encouraged me to study the code and push for my upgrade (to Tech-Plus at the time). There were lots of folks that were helpful and encouraging. Ray Sirois N1RY and Steve Freeman K1MV both introduced me to contesting, inviting my brother and I to participate in the CQWW HF contest in the fall of 2001. We went to Steve's house, where we also met Mike K1EU. I remember watching Mike talk to someone he heard on the air just before the contest began. They were chatting like they were old friends, and the station on the other end was in the Canary Islands! Steve had a way of putting our nerves at ease with his humor. He demonstrated a few things about the radio and the logging software, and then turned us loose, only interrupting ocassionally to give us a few contesting tips. Afterwards, he went over how we did and printed out a graph that showed QSOs per minute. Its an experience that I'll never forget, and it solidified my interest in amateur radio. There are so many individuals who have been influential to me, and have helped shape my ham radio experience over the years. I'm sure many of our readers have similar stories to share, so I'd like to invite you to share your story with me, and if we get enough responses, we'll publish them in an upcoming issue.